Are you ready for data at scale? Requirements for performance, scalability, reliability and availability are evolving, necessitating newer storage architectures that are both cost effective and more efficient. 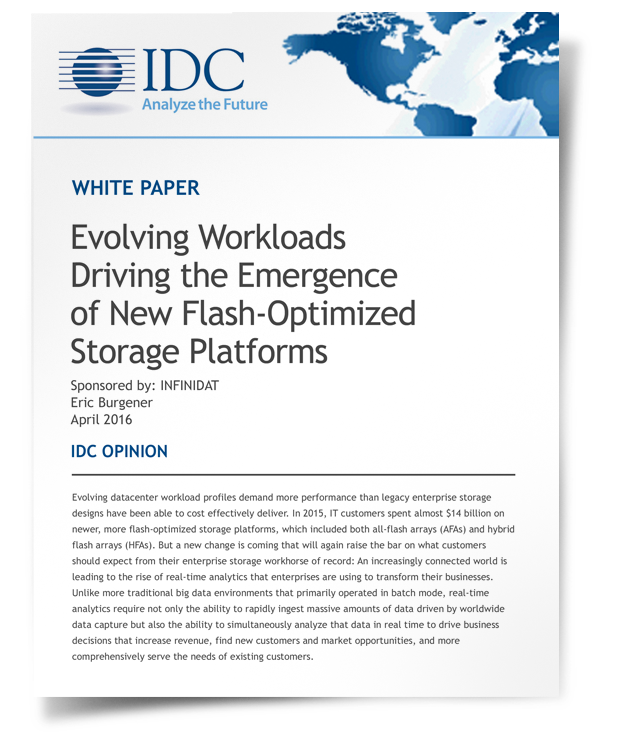 In this report, IDC analyst, Eric Burgener, reveals what IT leaders should know about storage for evolving workloads and introduces the new enterprise storage workhorse -- a flash-optimized storage platform -- designed for managing data at scale without breaking the bank.